Institute of the Incarnate Word - Stained Glass Inc. 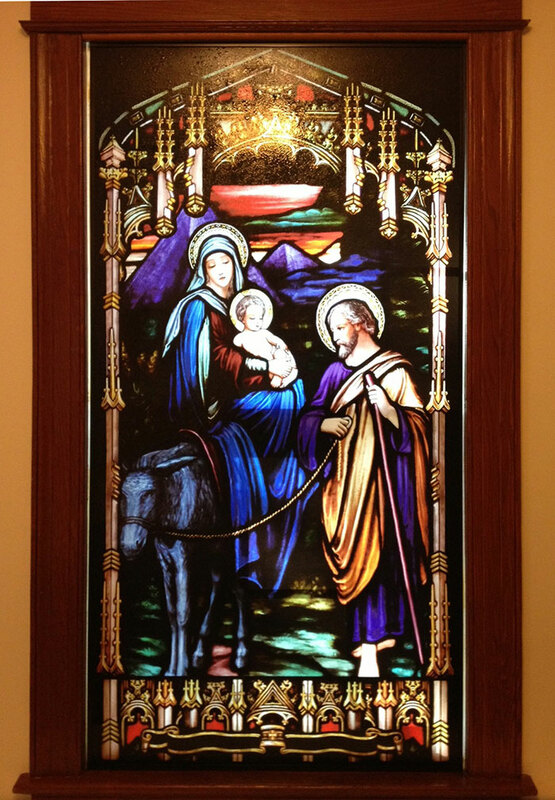 Brother Brian was seeking stained glass for his Catholic church in Maryland when he came across the website for Stained Glass Inc. It was easy for him to find the designs that he wanted because Stained Glass Inc. has the largest selection of stained glass designs in the world and offers a little bit of everything. Br. Brian fell in love with two Gothic style panels. One depicts the Holy Family's flight to Egypt and the other is a glorious rendition of the Annunciation to the Virgin Mary. Both pieces were rather large, at over five feet tall and two and a half feet wide but fabrication and delivery was very swift. From the time production began to the time the panels were delivered, took less than two weeks and this really made the client happy. “It looks great and we didn’t have any problem at all,” said Fr. J., another member of the clergy.